Alice is interested in the relationships between water and boundaries of all kinds – hydrologic, social, and political. 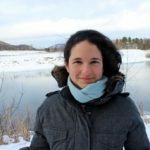 She is currently an Assistant Professor at Acadia University, and remains connected to the PoWG in her capacity as co-editor of Water Without Borders – an edited volume carried out through the Program’s transboundary water governance initiative. Her doctoral work focused on rescaled water governance initiatives in Canada, and during her time at UBC she was a Gordon Foundation water policy fellow and a scholar in the Liu Scholar Program. She completed her Ph.D. at the Program on Water Governance in December 2011. For a current list of publications, projects, and presentations, please visit Alice’s Acadia website here.